Work quickly and efficiently with this lightweight, translucent paper offering a cost-effective alternative to vellum. You can print more complex drawings and maps because this lightweight, translucent paper is designed for reproducible fine-line drawings and check reprints. Present your work in dense blacks and sharp, crisp lines and text. The base makes this paper ideal for reproducible fine-line drawings including diazo and xerographic reprints. Get the results you expect with the first print. 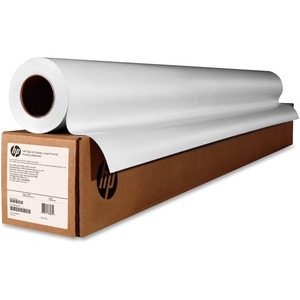 HP printing materials are designed together with Original HP inks and your Designjet printer to provide consistent, quality results.